Organisations are being advised to prepare their employees for the increasing presence of AI after one new study revealed the technology is set to revolutionise the world of work. Research from recruitment firm Hays suggests automation will soon lead employees to talk to chat-bots on a regular basis, work with an intelligent assistant and augment their roles with various AI systems. A recent survey from Deloitte also supports the suggestion that AI will become increasingly common over the next few years. In fact, of the 10,400 respondents from 140 countries, 38 per cent said they already use AI in their workplace and 62 per cent said they expect to do so next year. One third also said they expect their jobs will be augmented by AI in the future. 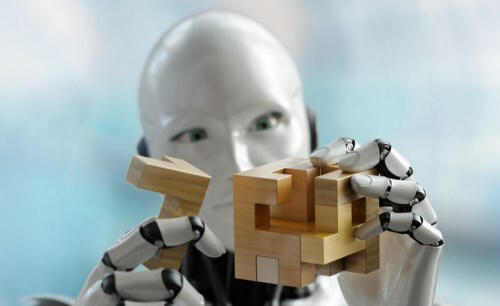 However, as much as AI has the power to streamline processes, the Hays Journal suggests the technology could also bring challenges – primarily, the need to upskill workers in digital literacy and the high cost of implementing such advanced systems. Because repetitive tasks can be automated, workers free up valuable time and can focus on other areas of their role. Machine learning chat-bots that recognise speech and text-based conversation will be used to respond to HR queries from workers. These help process large amounts of data for more and better information. Employees, then, could make more informed decisions. Algorithms could identify an employee’s area of learning and where their skills could be strengthened. Employers can tap potential talent even when they are not actively seeking jobs by using their online behaviour. “The use of AI for internal communication is definitely on the rise and this is where we expect people to see the greatest initial impact of AI systems in their daily jobs,” Deligiannis said.